Chinese smartphone maker Xiaomi recently launched its latest budget device, the Redmi Y2 in India. It is a camera centric device featuring a dual rear camera setup and a 16MP selfie camera. At the event, the company had also announced the MIUI 10. The Redmi Y2 will be go on sale for the first time in the country today at 12PM via Amazon India, Mi.com and Mi Home Stores across the country. It is available in two variants - 3GB RAM and 4GB RAM. The device was launched as the Redmi S2 in China and was rebranded in India as Redmi Y2. The Xiaomi Redmi Y2 has been priced at Rs. 9,999 for the 3GB RAM variant and the 4GB RAM variant is priced at Rs. 11,999. The device is available in India in Elegant Gold, Rose Gold and Dark Grey color options exclusively from Amazon India and mi.com. During the launch, Xiaomi had announced that ICICI bank credit card and debit card users will get an instant discount of Rs. 500 on the first sale. Additionally, Airtel 4G users can claim up to 240GB 4G data and Rs. 1,800 cashback. The Xiaomi Redmi Y2 run on Android 8.1 Oreo with MIUI 9 skinned on top and is scheduled to get the MIUI 10 update in September. It features a 5.99-inch HD+ 2.5D curved glass display with a resolution of 1440 x 720 pixels and an aspect ratio of 18:9. In terms of performance, the Xiaomi Redmi Y2 is powered by an octa core Qualcomm Snapdragon 625 SoC coupled with Adreno 509 GPU. The device is available in two variants - 3GB RAM + 32GB internal storage and 4GB RAM + 64GB internal storage. It has a dedicated microSD card slot for storage expansion. 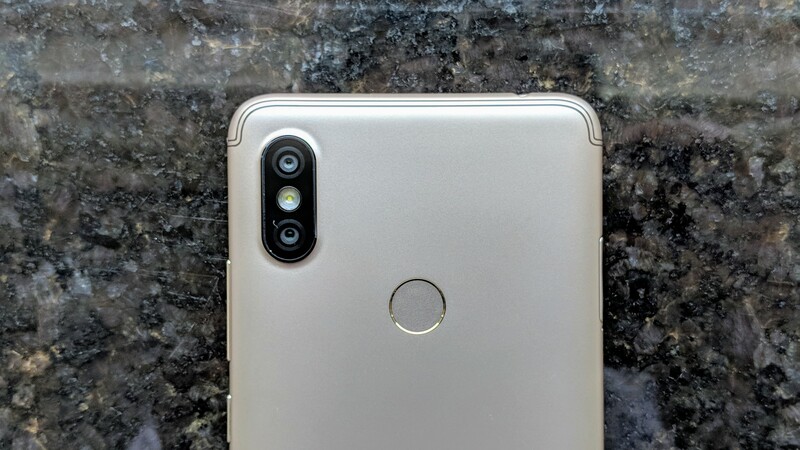 Coming to the camera department, the Xiaomi Redmi Y2 sports a dual camera setup consisting of a 12MP primary camera with phase detection autofocus, f/2.2 aperture and a secondary 5MP camera. On the front, the device sports a 16MP selfie camera with f/2.0 aperture, AI beauty mode, AI portrait mode and an LED flash. The Xiaomi Redmi Y2 is powered by a 3,080mAh battery and features a fingerprint sensor at the back. Connectivity options on the device include 4G VoLTE, Wi-Fi 802.11 a/b/g/n, 3.5mm audio jack, FM Radio, Bluetooth 4.2, GPS and an Infrared sensor.